Prompt, informed and professional support. Unusually impressive for this day and age! I received a well thought out and excellent response from tech support. Thank you. 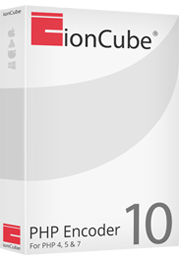 ionCube staff responded quickly (minutes) to this problem and resolved it immediately. That as good as it gets! The response on the live chat was quick and straight to the point.My problem was solved in less than 10 minutes.Thank you for doing such an awesome work! So far I must say I am very satisfied by the Support I have received. I got timely answers and the knowledge from the Support Team seems to be adequate if not better. So far I have no points of improvement that I can provide. Really helpful!! Got a solution within minutes. Thank you! Mauro Katzenstein - Covedisa S.A. There are two support plans available as well as the starter support. If your support has expired, you can renew quickly and easily from the Members Area.